Watching the documentary Helvetica, I learned that Helvetica font ubiquitous. Watching designers struggle over font and identity, I realized, too, that snobbery is also ubiquitous. A person who strives to associate with those of higher social status and who behaves condescendingly to others. A person having similar pretensions with regard to his tastes, etc. I think of snobbery as creating a hierarchical system where the bottom is perceived as bad, the top good and one’s own background, values and preferences are on top. She has many more, laugh-out-loud examples. Snobbery, then, is structure and within that structure can be any type of “snobbery.” It’s like snobbery is the pie crust and the pie filling is the type of snobbery. You can have apple pie snobbery, or cherry pie snobbery or pecan pie snobbery (apple pie being the best, of course). There can even be pie snobbery, like the kind you see at the county fair. While Dictionary.com defines snobbery as involving social status, that is just one form of snobbery. Saturn rules structure so snobbery is an offshoot of having to order the world from bottom to top, from good to bad, from Fords to BMWs. Saturn rules Capricorn so this sign is particularly snobby about the fundamental societal hierarchy – social class. And, of course, Capricorns are often the ones leading the definition of social class. Saturn in your horoscope may be where you exhibit the most snobbery in your life. Are you a second house snob about money and possessions? A tenth house snob about career? A fourth house snob about your home environment and cooking? A fifth house snob about your creative work? Saturn also represents our weakest link or insecurity. Often our snobberies are fed from our own insecurities. Seeing oneself as better than others can alleviate feelings of unworthiness. Turning bucket, a common slop pail, into “bouquet” a beautiful gathering of flowers, is funny enough. But one day when someone brought a bouquet of hyacinth into the office I fully understood the pun. A bouquet of hyacinth is quite overpowering, so much so that we moved the offending bouquet into a closed office. Hyacinth Bucket is the quintessential snob, and a British one at that. At one time I believed that all literature originating in England had snobbery as its foundation. I changed my mind on that for a few years, or possibly it was just a few minutes, I can’t recall, then returned to harboring this thought. December 25, 1066 – the date of William the Conqueror’s coronation. 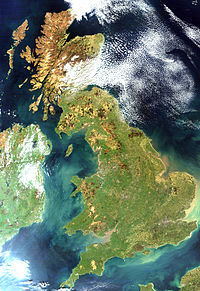 May 1, 1707 – the date of merging of Great Britain and Scotland as the Kingdom of Great Britain. January 1, 1801 – the date of merging of the Kingdom of Great Britain with the Kingdom of Ireland. Two of those three dates are in the sign of Capricorn (1066 and 1801) while one is the sign of Taurus (May 1), which like Capricorn, is an earth sign. One of the first astrologers I met commented that England is even shaped like the glyph for Capricorn/Saturn (glyphs in that order). What’s interesting too is that 1066 and 1801 both have Pluto in Pisces. This would suggest that Great Britain’s formation into nationhood contained religious/spiritual roots and/or motivations. I don’t know the history of religions/spirituality in Britain to comment on this. Maybe it’s the Pisces “merging” in this commonwealth of islands that is represented by Pisces. When asking a woman traveler on the Tube in London if one could take jelly through airport security, my answer was “you mean jaaaaam (jam).” Every time I talked to a native during my week in London, my English was corrected in an insulting manner. It felt a bit like this thing called snobbery. I would say language snobbery is a third house (communications) type of snobbery. This entry was posted in Planets and signs and tagged astrology snobbery, england astrology, england capricorn, great britain astrology, Ohio astrology, the great british class calculator. Bookmark the permalink.